A well-maintained wood deck can completely elevate your home’s outdoor entertainment space. But without proper care, wood decks will look drab and outdated due to sun exposure, precipitation, debris, and normal wear and tear. 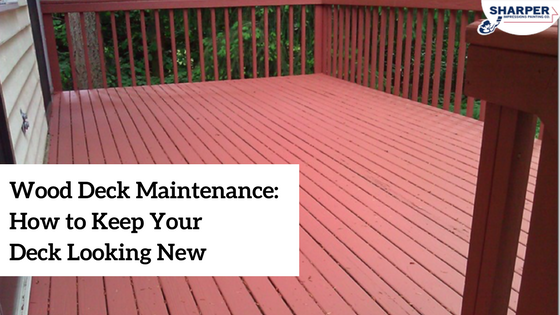 The good news is that you can ensure your deck looks beautiful for many years by following these simple wood deck maintenance tips. When your home has a wood deck, it’s important to keep it free from debris like leaves, pollen, dirt, and dust. If you leave these materials on your deck for too long, they can accumulate and cause unsightly stains on the wood. A good rule of thumb is to stick to a weekly sweeping schedule to keep your deck looking like new. You also want to ensure that your deck stays as dry as possible in the winter. Snow and ice accumulation can severely damage wood if left unattended. Moisture from the winter elements can cause your wood deck to rot, plus create mold or mildew problems. These issues will not only affect your deck’s appearance but may also cause structural damage — which can lead to unsafe conditions. To keep your deck looking great, always remove snow and ice with a plastic shovel or a broom, and only shovel or sweep in the direction of the boards, not against them. Wood decks can often benefit from a good professional power washing and sealant application every one to three years. A waterproof sealant will help protect your wood deck from drying out from sun exposure and swelling from rain and dew. Having your deck power washed beforehand will also prep it for sealing by cleaning away mildew spores and other stuck-on debris that sweeping can’t get rid of alone. Expert Tip! To find out if your sealant needs refreshed, lightly spray down your deck with some water from a garden hose. If you see water bead up on the wood, your sealant is still working. If it doesn’t bead up and sinks into the wood, then it’s time to call a professional for sealing help. Look for rotted wood. If you find boards that are damaged with rot, replace them as soon as possible. Check for rusted screws and bolts. Over time, these building materials can rust and loosen which can impact the structural integrity of your wood deck. If you notice rusted screws and bolts, replace them pronto. Examine your deck for loose boards. These can become major safety hazards if you leave them be. Deck boards tend to loosen over time — even if you maintain your deck properly. Step on each deck board one by one, and if you find boards that are loose, use new screws to tighten each board. If you have a wood deck, it’s crucial to keep it stained properly to ensure longevity. 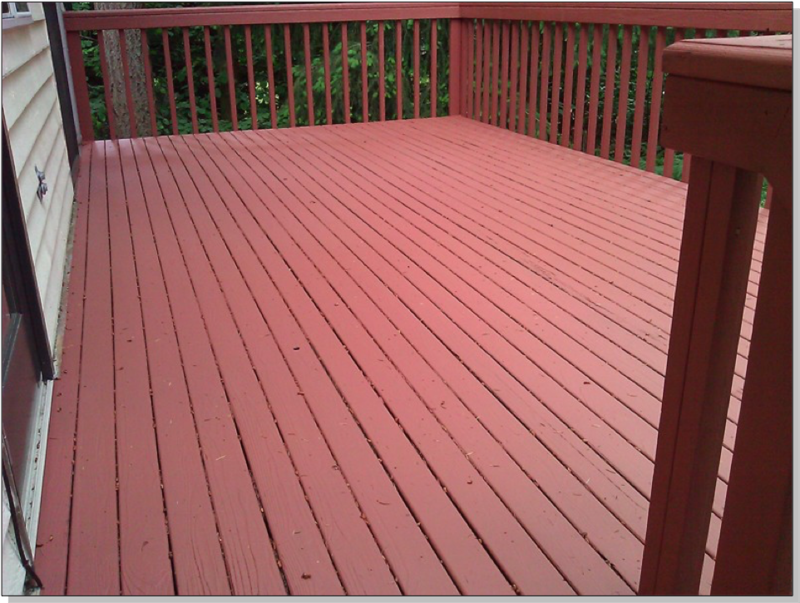 When you hire professionals for your deck staining project, they will use one to two coats of proper, high-quality semi-transparent, semi-opaque or solid deck stain to keep your deck looking just the way you like it. When professionally applied, a stain on your deck floor can last anywhere from 1 to 3 years, and stain on railings and vertical surfaces can last up to 8 years. If you maintain your deck using the tips above, your stain is more likely to last longer. 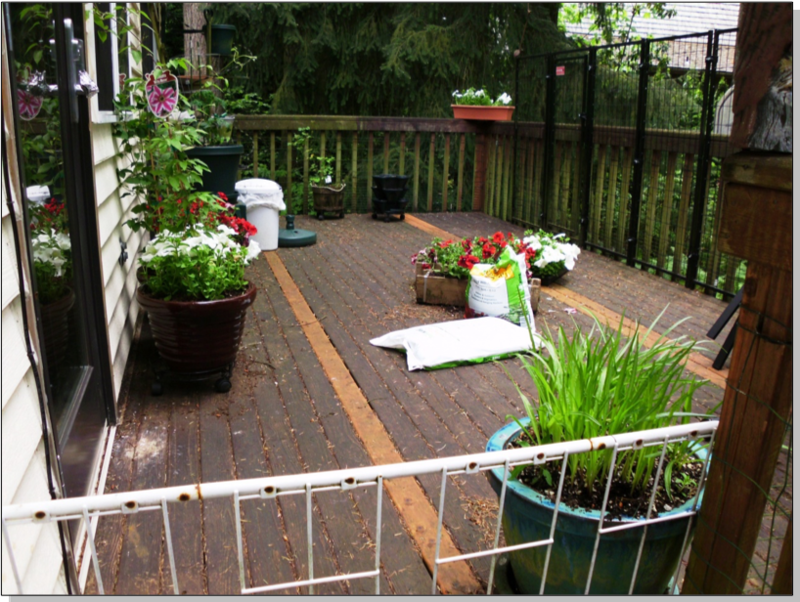 Rejuvenating your wood deck with stain is a quick and easy deck maintenance solution that costs much less than deck replacement. Deck staining and painting professionals will do all the hard work for you and use only the best staining products to bring your wood deck back to life.